Earlier this year I researched the history of this building, the first time I’d done that type of historical research. And I thought it might be useful to reflect on my experiences of doing it. I did have some advantages going in. My postgraduate taught Masters degree was partly in urban history, taught by architectural historian Professor Charles McKean. So I picked up some tips. As well I had my academic historical research experience, and 35+ years as an amateur genealogist. So I was well used to researching people in the past, and the main sources that can help. But this was still a new challenge. I was prompted to do it when I spotted that 2018 was the 200 year anniversary of the building where my husband works, now the HQ for the space technology company STAR-Dundee. They are a Dundee University spinoff company, and the building used to be university owned. Earlier its history was much less clear, though it was believed to have been a merchant’s house originally, and built for a man called James Gray. So not too much to go on, when I wackily emailed STAR-Dundee boss Stuart in early April and offered to trace the history of the building and is inhabitants over two centuries. I wasn’t optimistic about what I’d find. 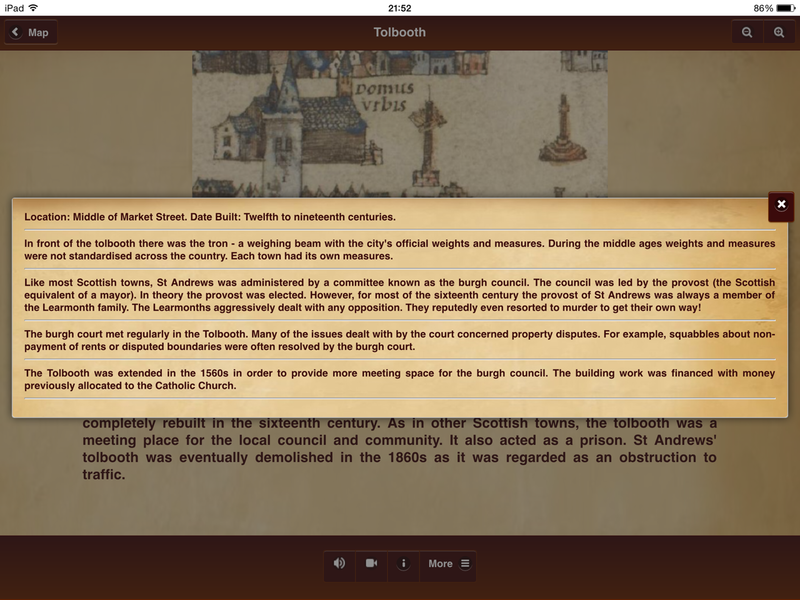 One of the first things I did was to check the architectural records held by Historic Environment Scotland. The Canmore database listing for the building mentions it was called Grange House. Well, I found that was wrong, probably from someone – quite possibly even my PhD supervisor Charles! – misreading the original architect plans, that, miraculously, the HES search room holds, as part of a volume of plans by the building’s architect David Neave. That sort of survival just doesn’t usually happen for buildings of this age. I was able to order digital copies of the original plans, and get permission from HES to reproduce them in my finished report. The plans show how the building, which went by the name Graybank for much of its history, was laid out in 1818 as a house, including the use of each room. The 1818 plans also included front and rear elevations of the house, which gave a lovely insight into what the building originally looked like – remarkably similar to now. Alongside that I was able to quickly check records from core sources. Most were readily available online. For example the National Library of Scotland has a marvellous digitised collection of local directories, showing the occupants over time. Likewise ScotlandsPeople.gov.uk has all the 19th century census returns, digitised valuation rolls, wills and inventories, and much else besides. As a disabled academic, being able to access so much material online, conveniently and easily, was a real benefit, and speeded up the building research process enormously. For example from ScotlandsPeople.gov.uk I was able to download digital copies of the detailed lengthy wills and after-death inventories of many of the house’s owners, allowing me to transcribe them conveniently at home, and add much useful information to the finished report. This included the original owner, James Gray, whose inventory recorded the many ships he was a part owner of. We now have a confirmed vision of him watching for some of his ships from the vantage point of his new riverside house! Perhaps most surprisingly – although maybe I shouldn’t have been too surprised – was the wealth of material found in old newspapers, searched by keyword search on the British Newspaper Archive website. These provided much rich detail about the house and its occupants. There were a number of sale or rental advertisements, describing it at different points. But there were also lots of marvellous obituaries for the various members of the family, and also mentions of family celebrations. One particular delight concerned a resident’s time before he moved into 166 Nethergate, revealing that he’d given a talk at Dundee University on the history of the solar system. A marvellous find given that the building is now the home of a space company! We also managed to trace the family grave of the original owner in Dundee’s Howff cemetery, and my husband photographed it, to go into the report. A nearby Flowerdew family gravestone can’t be read any more, but we were able to find a record of its original inscription. Overall we were able to manage to find lots about the families who lived in the building for its first 130 years – Gray, Flowerdew, Lowson, Buist, Moodie plus some others in between – even in some cases tracing family photos and home movies from the 1930s. The university connection was valuable from a research point of view. As a university property, a wealth of paperwork was preserved relating to the house from the late 1940s through to its sale to STAR-Dundee in 2011. This included more architectural plans, but also original surveyor reports, correspondence relating to the sale and use of the building, and even a duplicate old key lurking in the paper files! All of this information filled out the picture immensely. In the end, in just about 10 weeks, I was able to compile a detailed report about the building and history, 48 pages long, in A4 format. We arranged for this to be printed and bound, and copies were given to STAR-Dundee, and posters about the building’s history put up for employees to look at. 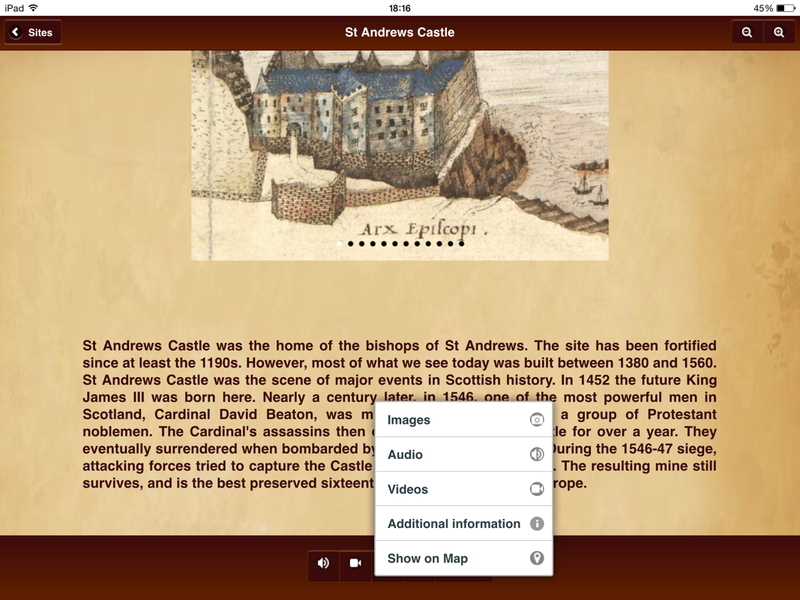 Copies of the printed report were deposited with Historic Environment Scotland’s archive in Edinburgh, and Dundee University Archives, so people can still access the research in 50, 100 or more years time. Would I research a building’s history again? Yes, probably, though almost certainly with more modest expectations of what I might be able to uncover for another case. I think this first one rather spoilt me in terms of being so rich in source material, and, yes, those original plans. Enormous fun anyway. Yesterday I attended the second day of this conference held at Perth Concert Hall. It was held in honour of my former PhD supervisor, Professor Charles McKean. Originally it had been hoped that he would be there, but sadly he died a few weeks ago. But it went ahead in his honour, in a positive manner. Sadly due to my MS-like illness I could never attend both days, and had to choose one over the other. This meant that I missed a very moving appreciation of Charles by James Simpson, as well as Charles’s son Andrew talking about his father’s research. But overall I think I chose the better day for me, partly on timetabling terms, partly on subject matter. I am not a Renaissance or architectural historian, and the second day’s talks fitted better into the wider social and cultural context I could relate to. The venue was good. I’ve never been there before, but I was impressed. I was using my wheelchair, and it was level access, and a good sized room for the 70 or so attendants (hardly any chairs free!). Catering was also good, including a nice buffet lunch. My husband accompanied me, to help me manage my wheelchair, and he was made very welcome. The second day started with the second batch of coach tours to nearby castles. I didn’t go on these, partly for wheelchair reasons, but joined the conference at the first coffee break, before the first main papers session. And it was a good one, looking at castles and tower houses in the wider context of landscape, and European culture. I was particularly struck by Shannon Fraser’s presentation about Fyvie Castle and some of the architectural research that has been done there by the National Trust for Scotland. 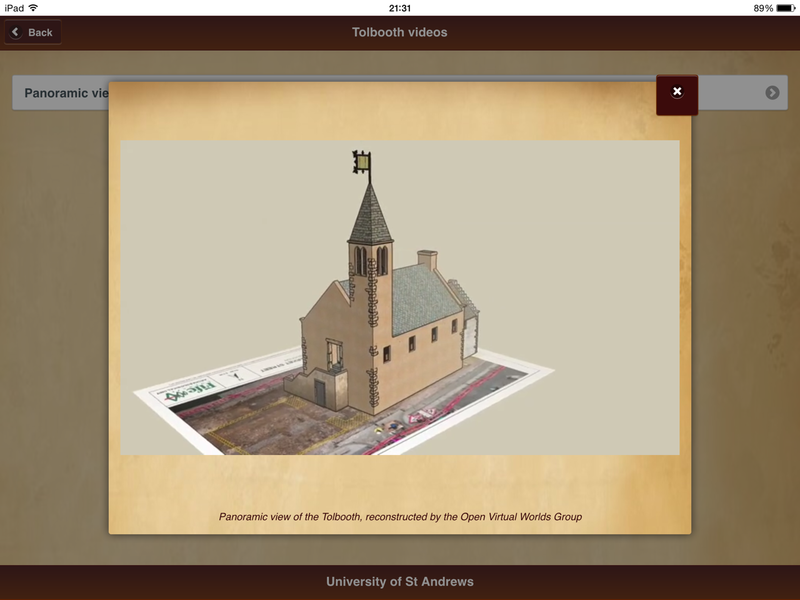 And Marilyn Brown’s presentation on Edzell Castle – I really must go there! It is not too far from me in Angus – and the iconography and imagery used, and still visible, in the Renaissance garden there. The way she was able to identify likely original European prints that were used as the basis of the designs still visible today was highly impressive. Indeed every time anyone mentioned the use of books by castle owners I would scribble frantically – book/reading historian in full mode. That included books on architectural design, garden design, military manuals, and so on. I also liked it when the speakers could say that the owner owned a particular book, which may have influenced the design of their home. The second session, after lunch, looked more at interpretation of old castles and houses. This included a thought-provoking talk by Michael Davis, on whether the quest for authenticity is at the expense of castle preservation. I think he gave us lots to think about, and in an era where many Scottish castles are in dire need of preservation, but also people who can afford to pay for the work to be done, it was an interesting thing to muse over. He was followed by Fiona Fleming from Historic Scotland, who talked about how her organisation works with academics – historians, architectural specialists etc. – to understand the buildings that they look after, and to present an image of what they were like in the past to visitors. She closed with a recently created artist’s impression of a Renaissance feast, and there was Charles, in the front, depicted in hose and the rest, raising his tankard to the viewer. Quite a few of us nearly choked up at that point, but it was a lovely thing to close the session on, before the closing reflections by Professor Konrad Ottenheym, with the image of Charles plus tankard staying on screen. If I have one criticism of the event it’s that quite a few speakers over-ran their time slots, quite considerably, 10/15 minutes, which with 20 minute slots and a fairly tight schedule caused timetabling problems. The pity was that it ate into the time for discussion and questions afterwards, in one case obliterating it, and I wish that hadn’t happened, because I think it’s at those times that the speakers and audience could have had a particularly productive discussion about taking the research forward that Charles has inspired so much. That’s my one criticism, but in other respects it was a superb day. I’m really glad that I went, I want to learn more about Renaissance architecture and studies now, and I think it was a lovely tribute to Charles, and a very positive way of celebrating an active research area, that I hope will continue long after his time. I also thought it was lovely that so many of the speakers I saw included personal recollections of Charles in their talks, echoing memories for many of us. My former PhD supervisor has died. He was a renowned Scottish architectural historian, and professor at Dundee University with many relevant books and journal papers to his name. But I wanted to write about my own memories of him, which primarily concern the support he gave me over many years as a part-time postgraduate history student. I’ve been thinking a lot about Charles over the last few weeks. I’d known he was seriously ill for many months. But after an article published in The Courier recently, recounting his young days, including Beano and Dandy reading, I hoped for a better outcome, not least because he was talking about his hopes for better health, and mentioning some of the places he would like to visit. It was not to be. I first met Charles in 2001. I’d recently finished my Open University history and classical studies degree, and wanted to go on to do a postgraduate history Masters. I initially signed up for the OU’s Masters degree, but was frustrated that it had to be studied over three years: with my medical condition, and uncertain future, I wanted to finish sooner. But I couldn’t study full-time, which I knew ruled out St Andrews University’s history MLitts which didn’t (and possibly still don’t) offer part-time as an option. But then I learned of Dundee’s new taught postgraduate Masters in Cultural and Urban Histories 1650-1850, which sounded wonderful, and could be studied either full-time in one year or part-time over two years. I emailed Charles to make tentative enquiries, and he emailed me the course book back, and I was sure it was for me, so signed up. Dundee’s history MPhil (they couldn’t call it an MA because it was a Scottish PG, and it would be a few years before it was renamed to MLitt) was taught weekly on Wednesday afternoons, with seminars on the second floor of the Tower Building at the University of Dundee. Charles led these, but there would often be other members of the history staff coming along to share with us their specialist knowledge. And we were encouraged to bring in primary source material, and discuss them. It was a wonderful time, and Charles was an inspiring teacher. I remember his unconcealed glee as he told us about the Beggar’s Benison club in Fife, and likewise how excited he got when talking about architectural history, such as the changes to the built environment in Enlightenment Scotland. Through him I gained a new appreciation for the importance of urban history: something I had vaguely dabbled with before, but had not studied properly until now. At the end of a year of lectures and essays the full-timers did their dissertations over a few months, while us part-timers had a year to complete. My dissertation was on Melrose regality court (local court) records in the late 17th century, and when the results came in I was the first Dundee history MPhil student to achieve a distinction in the Masters. Charles was delighted for me. I remember meeting him in the city centre by chance, and him saying that my MPhil dissertation was the best-written one he had ever read. I was ever so proud. 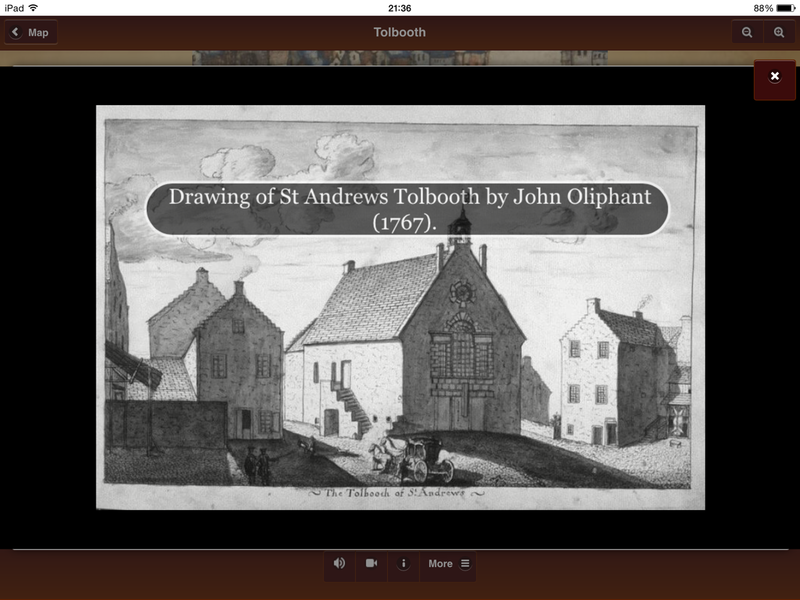 After that I started a part-time history PhD, studying reading habits in Scotland circa 1750-1820. Bob Harris was my supervisor, but a few years later he moved from Dundee to Oxford. Initially I carried on with him acting as my supervisor, long-distance, but there were some drawbacks to this, and at a Thesis Monitoring Committee meeting – the system at Dundee to keep a check on how research postgraduates are getting on, and deal with any problems – Charles volunteered to take over as my supervisor. I was delighted, and accepted his offer gratefully. Although it was not his specialist area he was well able to supervise the topic, based on his knowledge of eighteenth and early nineteenth century Scottish society and culture. Initially it was a slightly difficult supervisor-supervisee relationship. Charles’s brain thought about historical problems in a different way from mine, indeed I had more in common thinking-wise with Bob. And Charles was also keen, at least initially, for me to do a lot of new research, for example looking at an extensive collection of pamphlets and chapbooks. But I was far through my part-time PhD, and didn’t have time for this, especially alongside my disabling neurological disease. However, together with advice from my former supervisor, Charles and I found a really good working way forward, that was productive, and still inspiring. Discussions at supervisor meetings would still leap about unpredictably, as Charles’s quick-thinking brain would latch onto new, unexpected ideas. But we were making forward progress, and both knew what we needed to do – and in particular what I needed to do – to get me to the end. He was my supervisor for the last three years of my part-time PhD, essentially the writing up period, which also saw me finish off necessary research using primary sources. And he was wonderful at helping me through the difficult writing stage, always giving constructive feedback on chapter drafts, and keeping me going. I will always remember the coffee that Charles served in his office: usually flavoured, often slightly peculiar, but still nice. And he always had a wonderful collection of biscuits on offer: always unhealthy but ever so tasty! He was also always lending me books. His office was a tower of piles of books – I was never quite sure how he found anything – and he often had something new (or old, sometimes very) to show me, and often lend me. Best of all I always felt inspired and motivated by the supervisor meetings, ready for the next challenge ahead. Most helpful were his penetrating questions about my research. He was never backward in asking “So what? !” about what I’d done, forcing me to put the research into the broader context and explain why it was important. And he made a big contribution to the analytical side of my PhD thesis by suggesting a higher-level subject categorisation method that I could use throughout my thesis to produce some numbers for relative weights of entertainment, improvement and religious reading, and thus permit meaningful comparisons between different pieces of evidence for reading habits and reading choices. After my successful viva I had a meeting with Charles where we discussed my plans for the future, and in particular ideas for publication. He was keen for me to aim for extremely ambitious journals: some of which have paid off since, others not so successfully. But all of his suggestions were good, and worth trying. And we kept in contact ever since. The last time I saw him for an extended length of time I was in the university on an off-chance, and after visiting the library I ended up in College Hall, then thought I’d phone his office just in case he was around and free, so I could come and have a chat. And he was welcoming as usual, said come on over, and served me biscuits and coffee, and we nattered for an hour. It’s impossible not to be sad about his passing, but I’ve been trying really hard over the last few weeks to remember good times with him. For example during our MPhil course he took the students on a walking tour around historic Dundee, at least the city centre parts. I had to use a wheelchair for the walk, with my husband Martin pushing, and we went up the most amazingly tiny wynds. Enormous fun, and we all learned so much. 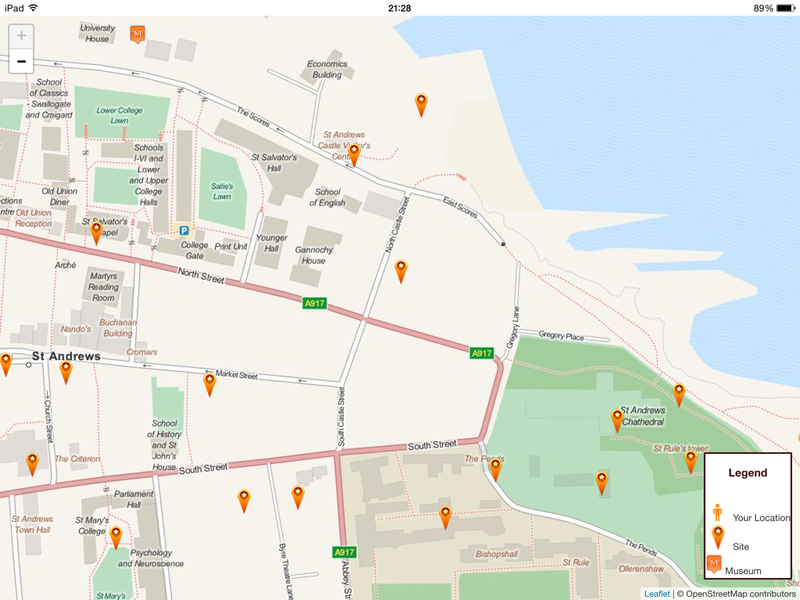 There’s now a Dundee Heritage Walk website based on the tours he did. I’m also inspired again to pursue some of the interests he fostered in me. For example I’ll continue to photograph interesting examples of old architecture around Dundee and further afield: I’d never noticed them properly until he taught us so much architectural history. 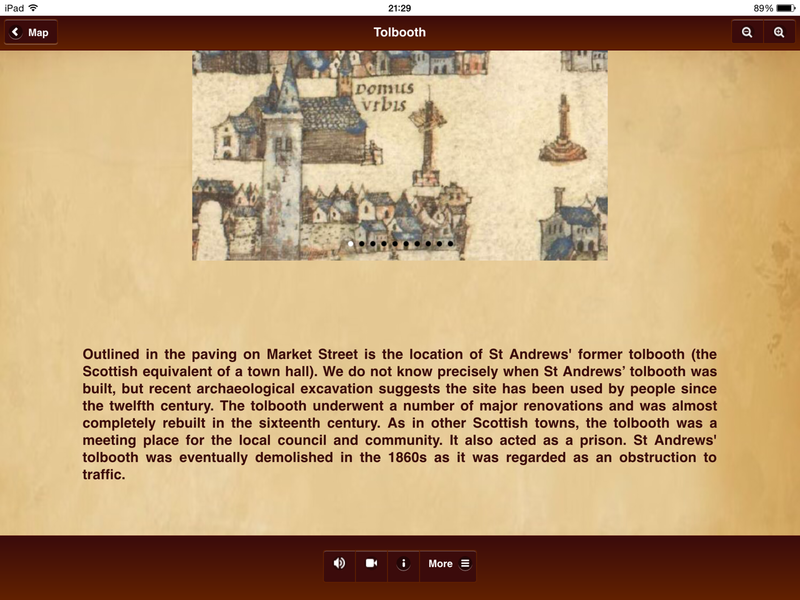 And I want to do more urban history research, following both the Masters he taught, and the year’s Research Asssistant work I did with Bob Harris on his pilot small Scottish towns study. And even simpler things, like eating houmous and pitta bread. I’d never tried houmous until Charles suggested I might like it, and I did. Even that brings back pleasant memories. I am so sad that he has died, and my thoughts are with his family at the moment, and their great loss. But I am honoured to have known him, and am grateful for the difference he made to my life. A kind, wonderful human being. For more information about Charles, including his research interests, see (at least for now) the history department web page about him. 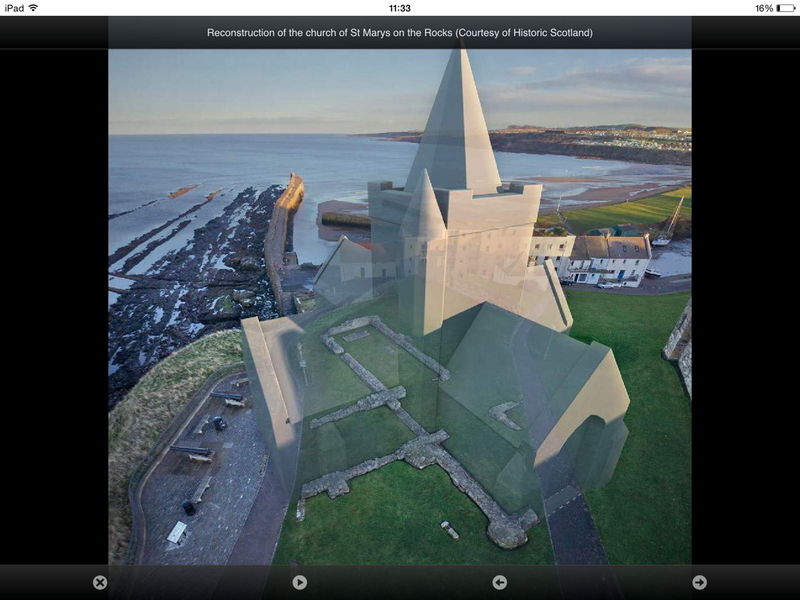 There is an upcoming conference to celebrate Charles’s contribution to Renaissance architecture research: A New Platform for Scottish Renaissance Studies. This is to be held at Perth at the end of October. Originally, of course, Charles intended to be there. Now that can no longer happen, but we go ahead in his honour, celebrating what he did.